This year at VivaTech, the international technology event focusing on digital innovation, BNP Paribas Real Estate will demonstrate our innovations within the sector on the BNP Paribas stand, the Lab. 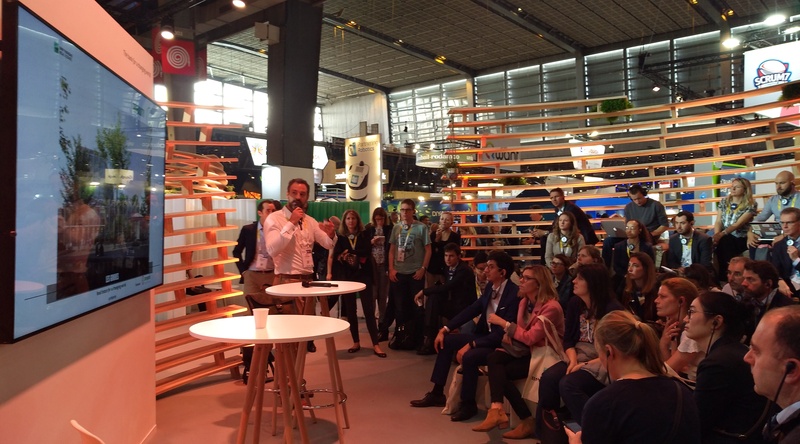 Supporting BNP Paribas, BNP Paribas Real Estate will host two talks during the VivaTech event. In light of societal, technological and cultural changes, we are experiencing a major shift in the way in which we imagine and conceive the “city of tomorrow” alongside innovative partners across different sectors. BNP Paribas Real Estate invites the customer to challenge time and space with our holoportation technology. How does it work? How is it used? In March, the BNP Paribas Real Estate holoportation device, which was created in collaboration with the start-up Mimesys and HTC VIVE™, was showcased at the international real estate event, MIPIM. Holoportation had, up until that point never been used in the real estate sector but with this device, real estate brokers can now conduct virtual meetings with their customers, anywhere in the world. This year at VivaTech, BNP Paribas Real Estate will once again present our holoportation technology, but this time with new advances. Now, it is possible to experience holoportation with a HTC Vive Pro headset, which allows for better audio quality and resolution, allowing for greater enjoyment during the immersion. In a further step BNP Paribas Real Estate is also expanding the use of holoportation to two more cities; London and Hong Kong, giving the experience the international scope for which it was designed for.